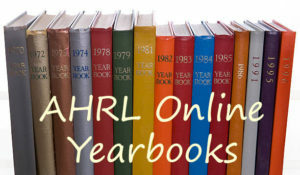 The Alleghany Highlands Regional Library and the Alleghany Highlands Genealogical Society have collaborated with the Library of Virginia to offer online editions of over 100 yearbooks from local high schools dating from 1921 until 1976. Ancestry Library Edition is your portal for Ancestry.com's popular collection of more than 7,000 databases and 200 billion images, including immigration records, censuses, vital records, family histories, court and legal documents, directories, photos and maps. Hoopla is a groundbreaking digital media service that allows you to borrow movies, music, audiobooks, ebooks, comics and TV shows to enjoy on your computer, tablet, or phone – and even your TV! Gale Virtual Reference Library is your single source for eReference aimed at the needs of students, researchers, professionals and general readers, offering more than 7,000 authoritative, full-text titles—from Gale and a host of premier publishing partners— within 18 subject areas researchers study most. Mango Languages is language learning for the adventurous, the ambitious and the curious. Follow the link to try out this amazing resource and learn one of 12 fun new languages! The Blue Ridge Download Consortium is powered by OverDrive and ready to serve you with a great selection of eBooks and downloadable audiobooks to enjoy on your Nook, Kindle, iPad, iPod, mp3 player, or many other devices. Zinio, the world's largest newsstand, offers full color, interactive digital magazines for your enjoyment. Browse from a large collection of popular titles with no holds, no checkout periods, and no limit to the number of magazines you can download. Whatever your goal, Learning Express Library 3's resources will help you succeed. Each of our Learning Centers offers the practice tests, exercises, skill-building courses, eBooks, and information you need to achieve the results you want—at school, at work, or in life. The olderLearning Express Library 2.0 is still available for a limited time. If you have tests you'd like to finish, you may access them here. Grolier Online Passport is a portal to various non-fiction and reference sources. It includes encyclopedias, periodicals, web links, maps, videos, and images. Use it for starting general research in any subject. Gale welcomes you to the most extensive free forms site available to library patrons. Thousands of legal forms available with more forms being added daily. Official, State Specific, Federal, Business, Personal, Real Estate and General forms covering hundreds of legal subjects and issues. 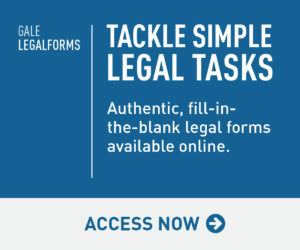 Access Gale Legal Forms Now! Gale's Career Transitions provides immediate help for job seekers navigating the new economy. Innovative and accessible, Career Transitions helps library users improve their chances of finding sustainable employment. We've worked closely with libraries like yours to improve our ability to help users navigate today's challenging employment environment. Let Gale and Career Transitions enhance the unique value your library brings to your community. Access Gale Career Transitions Now! Kids InfoBits is the perfect educational product for today's young learners. It is a content-rich, authoritative, easy-to-use digital resource featuring age-appropriate, reliable, curriculum-related content covering a broad range of educational topics. The modern design and simple navigation makes it easy for users to explore content and gain comfort with database searching. 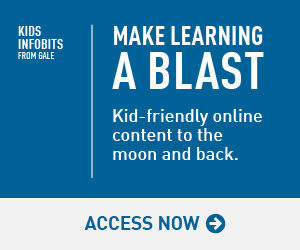 Access Kids InfoBits Now! Universal Class provides online continuing education courses to schools, libraries, companies, educators, and individuals throughout the world. It aims to advance intellectual exchange in teaching, research, and service with its technology and belief that lifelong learning should be affordable to all people of all cultures. With a growing course catalog of over 500 online classes, Universal Class is committed to providing only the most affordable and highest quality continuing education. With our comprehensive multi-media packages you will be speaking and improving your language skills with every lesson by taking part in the modern, everyday conversations that make up our Interactive Audio Course. In addition, you will learn to speak the language naturally with our language and culture lessons and you can also build on your vocabulary and improve your audio recognition of common words and phrases (and have fun at the same time) with our popular Master Games range. Check out Rocket Languages today!